Last Friday night Luke & I went out on a spontaneous date night. When he got home from work, we looked at each other & said, ehhhh let's go out! So we did :) We had both been wanting to try Nostrana for quite a while, so tonight seemed like the perfect night to do so! Nostrana is small & cozy Italian restaurant in SE Portland; the name literally translates to mean "ours". The food is simple, fresh & all around delicious. We knew this place was popular, but didn't realize that meant reservations extremely recommended, if not, required. We ended up having about a 20 minute wait & then we were seated at the pizza counter. In all honesty, I love these settings the best! You get to watch the pizza dough being tossed in the air & thrown in the piping hot pizza oven! I always love seeing how everything comes together in a restaurant, so the pizza counter was perfect for us! 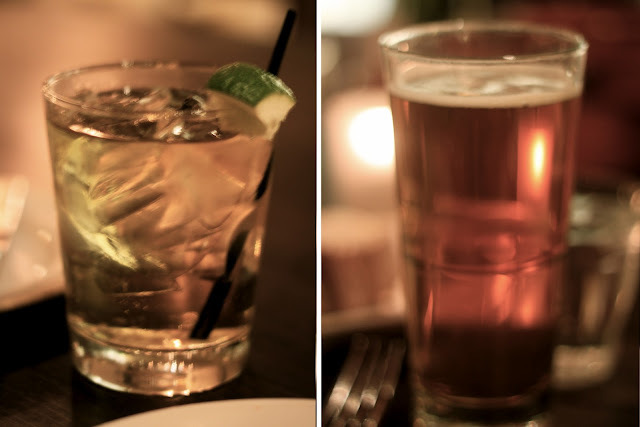 Luke's Whiskey drink & my Amber beer. Fresh baked bread with the most yummy & fruity olive oil. you take great pictures. My goal is to learn how to take pictures like. I love this place! The pizza is delicious! looks like a really nice place! can't wait to go on a date with hubby for v-day! it's been too long! Yum!! So funny, Alex and I were just deciding between Nostrana and another restaurant for tonight - you've def helped make my choice!! Ahh! I have been dying to go there for so long! I need to get on that immediately. Your photos are stunning! What camera do you use, if I may ask? Thanks, Jessica! I am using a Canon Rebel T1i with a 50mm 1.8 lens. 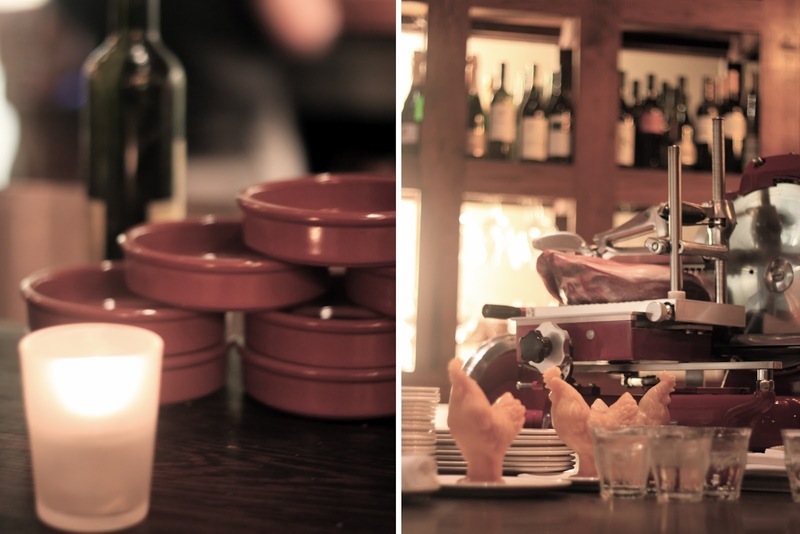 If you liked Nostrana, you really should try Cathy's new spot in the Pearl, Oven & Shaker. Pretty good pizzas and amazing cocktails. Thanks dejvicka! I've heard of it & I'll have to try it out soon! omg those looookkk soooo goooddd... i'm finding an italian restaurant asap!